Do you own a Gundog? A gundog is either a pointer, a setter, a spaniel, a retriever or a utility gundog (like Weimaraners, Hungarian Vizslas, Large Munsterlanders etc). 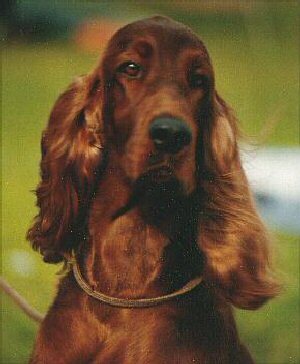 If you are not sure what your dog is check out our Gundog breeds page. Are you interested in doing Obedience or Showing your Gundog? The Gundog club holds weekly classes on Monday nights for both disciplines. Are you interested in training your Gundog to Retrieve or do Field Work? The Gundog club holds training days and trials for several different types of gundog work depending on the breed involved. Any gundog disciplines not undertaken by the club can be referred on to the breed clubs or Retrieving and Field Trials club of SA. Are you interested in getting a gundog breed? The Gundog club has a breeders directory which includes many Gundog breeds. If you answered "YES" to any of these questions we just might be the Club for you.